I like this quote from Elder Holland. It causes me to ask myself the questions, how am I different after my encounters with the Saviour? Do they enable me to go forward in faith and shape history at the very least for my own descendants? After an encounter with the living Son of the living God, nothing is ever again to be as it was before. The Crucifixion, Atonement, and Resurrection of Jesus Christ mark the beginning of a Christian life, not the end of it. 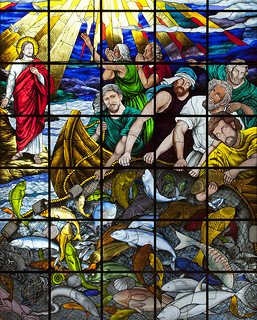 It was this truth, this reality, that allowed a handful of Galilean fishermen-turned-again-Apostles without “a single synagogue or sword” to leave those nets a second time and go on to shape the history of the world in which we now live. Categories: Quotes | Tags: Christ, Christian, Faith, General Conference, Jeffrey R Holland, LDS, Mormon, Religion | Permalink.